He also does not seem to understand, in his obsession with ruling, what the word mandate actually means. It does not come from two English words, as the unsophisticated might believe, indicating an astrologically inspired date for a man, something on the lines perhaps of Nehru’s tryst with destiny. Rather, it comes from two Latin words, meaning committed or handed over. Since nearly 60% of the people voted for a Parliament, soon after a much larger number had given a massive mandate to the President, it is apparent that a clear majority of the people of Sri Lanka have faith in the Parliamentary process in terms of its current subordination to the Presidency with regard to executive authority. The more pertinent question, given that a clear majority of this majority has opted for the governing coalition, is the implication for the opposition, and in particular for Mr Wickremesinghe’s party. The fact that it has over a million fewer votes than it obtained six years ago, when similar numbers voted as today, suggests that it is the UNP under Mr Wickremesinghe in whom the voter has lost faith. Given that the opposition must play a role in democratic politics, we now have a distinct vacuum. Of course, despite the UNP’s appalling performance, it is far ahead of other opposition parties, so it cannot be gainsaid that whatever mandate exists in this regard belongs to the UNP rather than the TNA or the DNA. The former of these, like the UNP, has done substantially worse in terms of numbers as well as percentages than it did in 2004. Still, if it continues to claim that the North and the East deserve special treatment, and if the UNP falls for this trick, it could then claim that it has a stronger mandate from the people to function as an opposition, given that it did comparatively better in those areas than the UNP did in the rest of the country. Interesting too, if potentially worrying, is the relationship of the UNP to the DNA. This latter party was absolutely trounced in the country as a whole, and only performed respectably in the Western Province and its adjuncts, namely areas that share in the prosperity and the mindset of Colombo. Since it is that mindset that formed and continues to form the core of UNP thinking, the UNP had better take cognizance of the fact that its supremacy here may be in danger. In this respect I think the UNP must be glad that Ranil Wickremesinghe, after his unfortunate flirtation with General Fonseka, stepped smartly backwards and stopped what could have been forceful infiltration. Earlier we had seen how natural UNP supporters began to see the Tigers as an acceptable alternative, and I could see the same happening with the General and his troops in Colombo. Left to themselves, I would have thought that the bulk of UNP elite urban supporters are not really what one would see as Fonseka groupies, let alone adherents of JVP thinking. However we must realize that there is in these areas a segment of society that is in thrall to what I would term a selfish nationalism, a nationalism that is exclusivist, to the point of violence, and without understanding of social elements they see as alien, whether it is the rural majority or ethnic minorities. It is this element of selfish nationalism that the UNP has repeatedly tried to exploit whenever it felt threatened by what I would call the inclusive nationalism of the traditional SLFP. This was what Cyril Mathew and J R Jayewardene let loose in the fifties to stymie Mr Bandaranaike’s efforts at compromise with the Federal Party at the time. It was these elements that came to the fore in the UNP to stop Dudley Senanayake’s efforts at compromise in the sixties, and that then dominated the UNP in the early eighties with such tragic consequences. It has to be granted though that such tactics were also designed to strike chords in the SLFP, and unleash elements that were opposed to inclusive nationalism. Thus in the fifties Jayewardene’s aunt by marriage, Vimala Wijewardene, led a group that bullied Mr Bandaranaike out of his intrinsic inclusivity. Then, in the sixties, there was enough pressure to lead not only Mrs Bandaranaike, but even the old usually idealistic left, the LSSP and the CP, into what seemed racist postures. It was this mindset that UNP strategists thought they were tapping into when they anointed the General as their candidate for the Presidency. Unfortunately that is not a mindset that can be controlled, and some of its proponents seem to have stuck with the General, to the extent of swallowing even the JVP, in the recent poll for Parliament. That is the most plausible explanation of the decline by over 360,000 in the UNP vote, between 2004 and 2010, in the four Western Districts in which the DNA has won five seats. The other possibility is that, while the UPFA more than held its own in those areas, even without the JVP, about a third of the UNP vote simply stayed away. And whereas the JVP vote seemed to have dwindled to hardly anything in the recent Provincial Council polls, it is now back in this small but significant sector of society to levels which allow for further manoeuvering. In one sense this may be a good thing for the more enlightened elements in the UNP, that the forces which contributed to the ascendancy of the old Cyril Mathew perspective have now opted for the DNA in preference to the UNP. However in the UNP they might not have been influential, whereas they may be able to take the DNA in directions that some elements in the JVP, adopting the chauvinistic garb they exploited in the eighties, might think electorally promising. It had been hoped that the JVP had got over that mindset and reached a more mature view of the world, but now it is possible that the space the UNP created for the Fonseka phenomenon might prove a continuing threat. 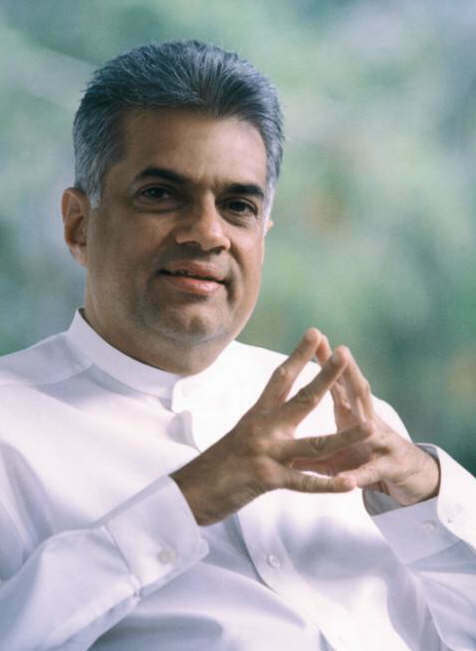 My hope then is that the UNP will soon develop a leadership that can revive a two party system, including in the North and East. The UPFA is well on the way to doing that, with its successes all over the country, uniting so many different perspectives in an inclusive nationalism. 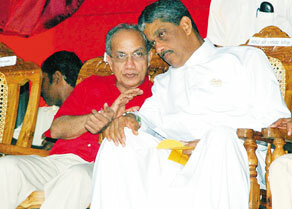 The current UNP leadership is too weak to control the excesses of the TNA and the DNA and, least of all, General Fonseka. It may be superficially convenient for the government, to have such a weak opposition, but for the sake of the country – and therefore of the government too – we must hope that a less precious approach to politics and policies will characterize the main opposition party too.